Thomas Sanchez's international bestseller, Mile Zero, set in Key West, was hailed by the Washington Post as a 'holy terror of a book of immense power and passion,' lauded by Vanity Fair as 'mythmaking and magisterial,' and acclaimed by the New York Times as 'dazzling.' 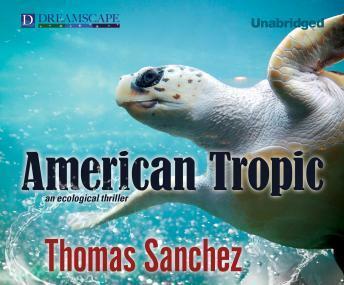 Sanchez returns to Key West, America's famous southernmost continental point, with a heart-racing ecological thriller. The exotic island city of the Florida Keys is being terrorized by murders committed by a mysterious voodoo assassin. With each new kill, it becomes clear that the skeleton-clad executioner has an ecological agenda. The novel propels us through a complex maze populated by defenders of America's only continental reef, rapacious developers, ruthless scammers, destroyers of marine life, and common people engaged in heroic acts to save their paradise. Everyone dreads being the killer's next victim as the clock counts down to the end of hurricane season and a final dramatic explosion of fear and rage. With canny perception and strike.